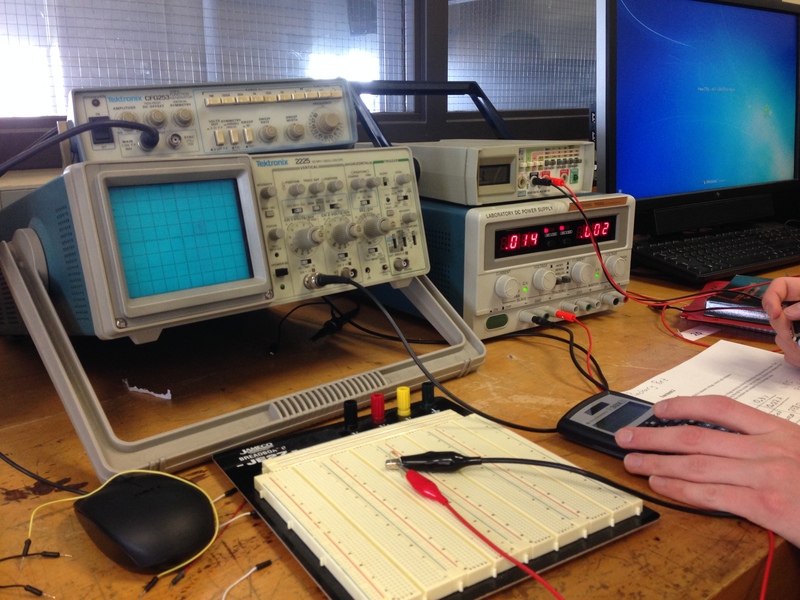 So last Friday was my second ECE lab and we took a resistor and measured the current and voltage that went through the resistor. These past two labs have been very, very easy to my surprise. I would think that at the start of this semester, the labs would be intense as they were in Physics 22 when we were doing circuits, but it has been the complete opposite so far. Now, obviously the labs should get harder as we progress through the semester, but I will enjoy as much as possible the easiness of these current labs! Some things to note about the lab I did this past Friday: we used the circuit board and banana clips to attach our circuit to the AVO meter, which is at the top right of the picture, and we also used the banana clips to attach our circuit to the DC power supply. The AVO meter is used to measure resistance and the DC power supply gives a voltage to the circuit and you can also use the device to measure the current that is flowing across the circuit.